standard by American Nuclear Society, 10/07/1983. standard by American Nuclear Society, 09/09/1998. 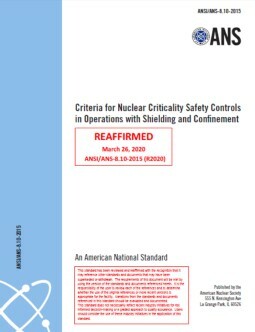 standard by American Nuclear Society, 2014.
standard by American Nuclear Society, 09/14/1983. 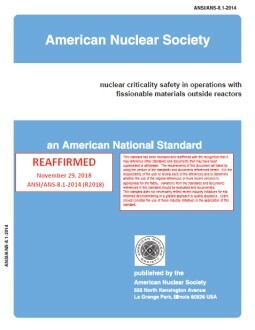 standard by American Nuclear Society, 02/12/2015. standard by American Nuclear Society, 09/11/1987. standard by American Nuclear Society, 05/25/2004. standard by American Nuclear Society, 11/09/1981. 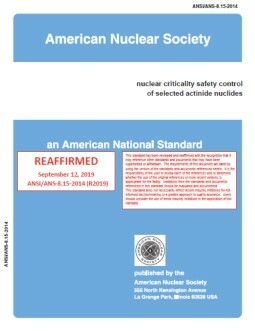 standard by American Nuclear Society, 10/10/2014.